Great to have these things set in stone, as they say, although looking at that quip makes me think. Stone? Isn’t stone a natural substance, like marble? It’s kind of tricky to make a mold for the stuff, unless you happen to be Magma. Sorry, I’ve been re-reading a lot of old comic books over the past few months. For us mere mortals, wouldn’t it be easier to set things in plaster of Paris (admittedly fragile) or cement? Anyway, whatever—the release date for the new novel has been set for September 27. 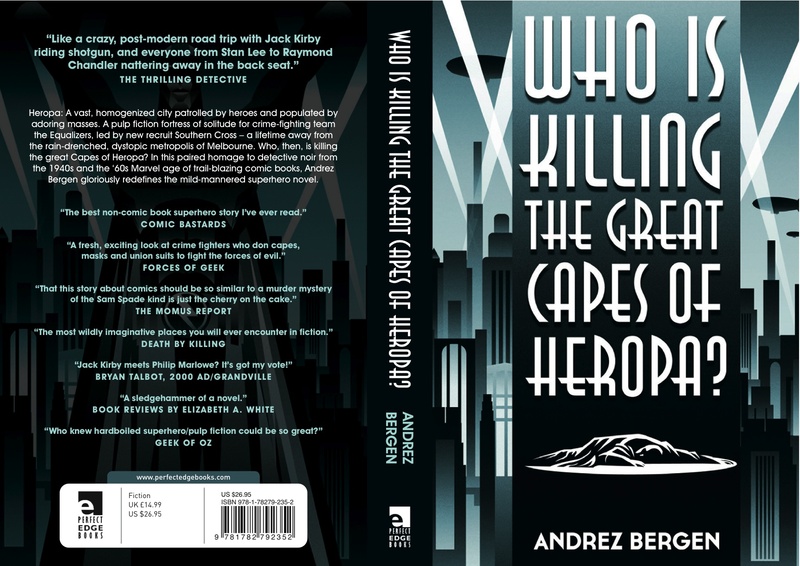 I’ve got a lot of work to do promoting this book (Who is Killing the Great Capes of Heropa?) and the collection (The Condimental Op) out in July. Over on Facebook the other day I whined about it being a case or two of “propaganda bombs, agitprop tickers & the molotov cocktails of marketing.” Sometimes it does feel like that, spread out far too thin across all the different social media platforms, beating one’s chest like anyone’s going to listen in. Maybe only other gorillas pay attention. But who am I kidding? I actually quite like doing the chore—since you’ve got to find new ways in which to entertain yourself while tossing about the promotion. Anyway, where was I? I think I desperately crave strong coffee, since it’s not quite 6:00 am here in Tokyo and the June humidity’s already kicking in. I’m therefore going to brief here (yeah, right). Last week I received the wraparound for the novel’s cover, with artwork done by Mexican artist Rodolfo Reyes and design by Nick Welch at my publishers Perfect Edge Books. I love what they combined to conjure up, along with the work of Dominic James and Stuart Davies on the design and copy editing of the interior of the 470+ page beast. Speaking of promotion, I just had a long yack with Jesse @ the Middle East & Asia Comic Collectors Club; you can read the interview here. 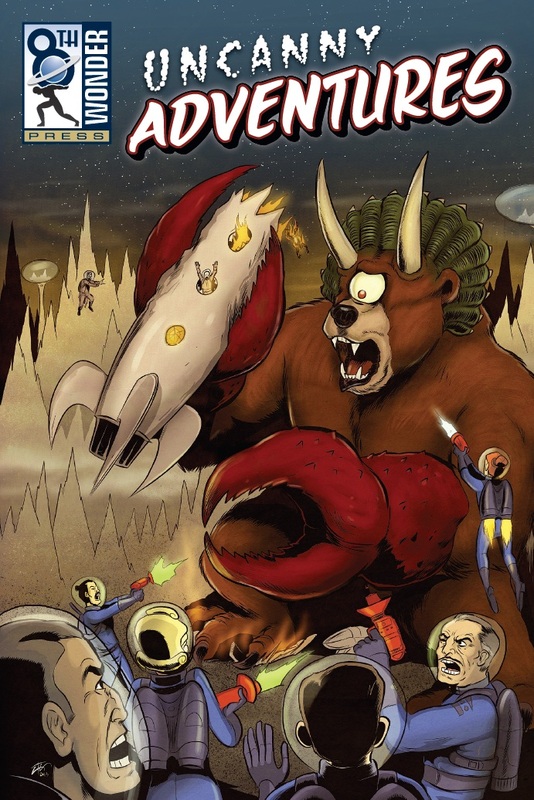 This bad boy called Uncanny Adventures (picture above) has just been published via 8th Wonder Press with a noir comic story by me and Drezz Rodriguez; they’ll be launching the tome @ the Denver Comic Con. And writer/critic Dan Wright very nicely included my last novel One Hundred Years of Vicissitude today in his article Top Five Indie Novels That Should Be Made Into Films/TV Shows.